This principle is one of my keystone leadership principles in which I live by and highly encourage with my executive clients. When I finally understood and implemented this truth into my ways of doing things, it had a dramatic impact on my team and my family. Sir Issac Newton’s third law of motion states “with every action, there is an equal and opposite reaction.” Nothing could predict your leadership results more accurately than this. Could it be the results you are getting are the results you should be getting … based on your own behavior? That is what we call influence. Through your behavior you have the ability to “influence” the response or reaction in others. If you don’t believe me, try this experiment. Compare the “reaction” you get when you throw a glass of water to someone versus when you hand them a glass of water. What is the difference in their reaction? To me, Self-management is 'your ability to manage your behavior to productively influence others.' Click To Tweet Some people may call that manipulation. The difference to me is the intent of your heart or your motivation. Is your intent self-serving or others-focused? A leader who exercises a high degree of self-awareness to better direct their own behavior in an effort to produce positive results for others — that is great leadership. What role do my strengths play in Self-Management? That is a great question! Think about it. If you don’t drink enough water what can happen to you? What happens to you if you drink too much water? The extreme answer to both questions is … you die! What happens when you overuse your Achiever, Activator, Empathy, or Command talents, just to name a few? So what is the answer? The answer is balance. The answer is self-control. The answer is the pursuit of positive influence and excellence … even when it requires modifying, controlling, or directing your own behavior. Once you become aware of how your natural talent can operate as both a strength and a weakness, you are in a better position to “direct your behavior productively to influence others” — or self-manage. As you discover specific behavior that tends to produce negative results, explore what you can do differently in the future that would productively influence and deliver better results for you and others? Be specific. This is not a one-time self-awareness/self-management exercise that helps you understand why you’ve been getting the results you are getting, but this practice becomes a part of your way of doing things that helps you adapt your behavior in the moment. 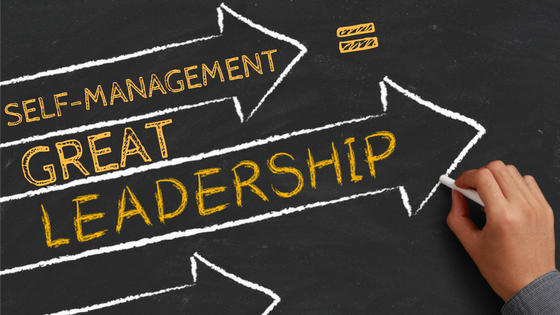 Learning how to manage and direct one’s behavior is truly the sign of a great leader. What is your commitment to improving your self-awareness and self-management skills? What is your commitment to becoming a more emotionally-intelligent leader? What action do you want to take today?